We are engaged in manufacturing and supplying Textile Testing Equipments that are fabricated using the excellent quality of materials that are procured from the reliable vendors of the market. Our ranges of equipments are used in various textile industries. This Testing Equipments are appreciated for features like easy to install, flexible to use, durable and reliable. We maintain the international industrial standards to meet the client specifications. 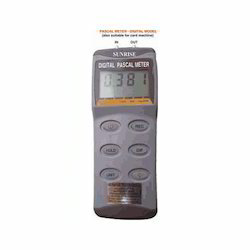 Digital Suction Pressure Indicators offered are sophisticated & sensitive Clean Room and Clean Area Monitoring systems that are designed to deliver high functional accuracy of 0-25mm W.C. range with 0.1mm resolution. Further, these can be made available with 4-20mA Current Output for Data Logging as well as in rugged ABS Enclosure. The presence of pressure indicator also helps in measuring exerted pressure by material during its movement in process. The system also features presence of dual alarm indication for lower set point and upper set point where the indicator latches on to upper/lower limit alarm until reset by operator. Further, as it is a microprocessor based indicator, it delivers high accuracy and as well as multiple input selection capabilities that aids in maintaining common inventory. We bring forth a dazzling range of GSM Sample Cutter in a wide range to our esteemed consumers at competitive prices. These are contrived using superior quality material under the guidance of our expert professionals. These are checked on various parameters to deliver a defect free range. These are available with us in a variety of sizes these can also be customized as per the requirements laid down by our clients. To determine the GSM of the fabric (Woven, Non Woven or Knitted fabric). 4 High quality blades for precision cut. Can be used for virtually including film, foam, carpet, paper and board. 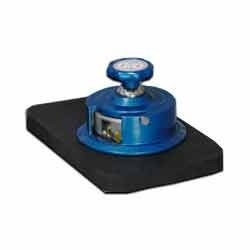 Our organization offers a comprehensive range ofGSM Calculation Balance which fabricated using best grade raw materials and in accordance with industry standards. These are used to measure and calculate the GSM accurately. It is a simple device which directly shows the weight per unit area in grams per square meter on the sector scale. It is one of the most important parameters to determine the gsm of fabric, paper, flooring, PVC film and other flexible sheet material. Our suppliers offer these materials at cost effective prices. To measure and calculate the GSM accurately.